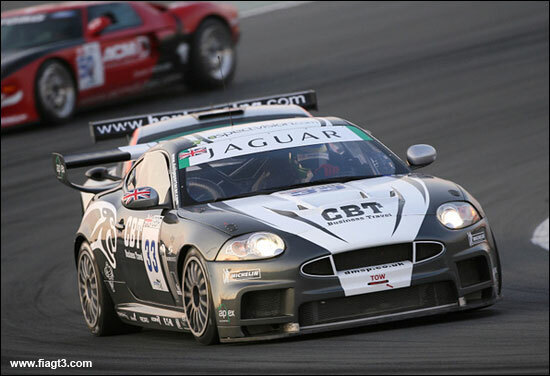 GT4 and GT3 cars likely, but not with factory backing it seems! There can be no well established automotive brand more obviously lacking a brand-relevant motorsport programme for a longer period, than Jaguar. Still apparently smarting from a stupendously ill-advised F1 programme, the only big motorsport news for the Jaguar brand in recent years has been its current high profile Formula E effort. 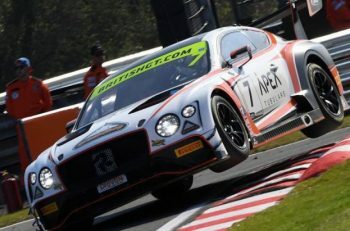 Whilst any factory investment in motorsport is welcome, there seems to be a continuing gaping hole in the company’s portfolio with no sign that they plan to enter GT or sportscar racing any time soon. 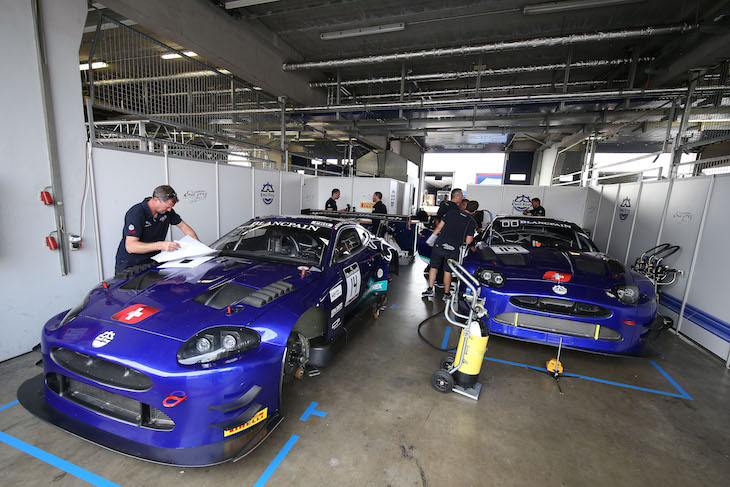 The recent revelation (via Autosport’s Gary Watkins) that the company’s Special Vehicles Operations is in the midst of a privately funded programme to build a pair of GT4 F-Types is a welcome boost, but falling well short of real factory commitment. The forthcoming SVO F-Type seems set finally to put the Jaguar F-Type onto a competitive grid, with plans from JRM to launch a similar programme thus far failing to see the light of day. Since the end of the XJ220 race programme there have been several other attempts to field Jaguar GT efforts, thus far always on the basis of two generations of XK8/XKR including a number with Jaguar’s official blessing to some degree at least, but all with limited on-track success. 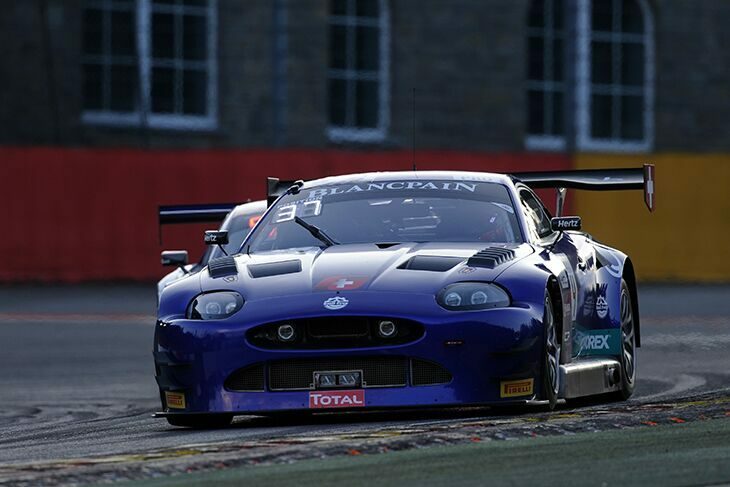 Ex-XJ220 gentleman Allen Lloyd was the first man to try the XK8 route with a car of blessed memory, but very little success, that made sporadic appearances in the British GT Championship in 2003. A potential 550bhp+ strangled down to somewhat less than 400 (allegedly!). There was a significant gap before the next Jaguar-badged effort emerged. 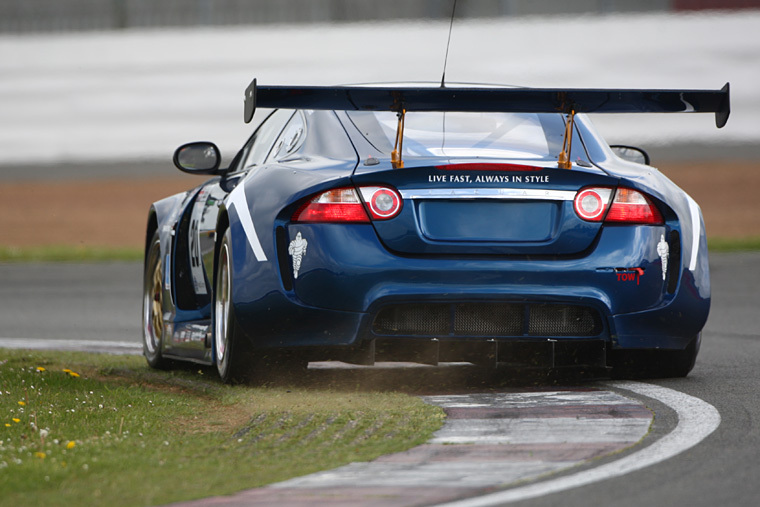 This time it was an XKR-S for the new GT3 regulations as Richard Lloyd’s Apex Motorsport, with backing from, amongst others, Stuart Scott; Scott purchasing two of the eventual four cars produced. Powered by a supercharged 4.2 litre V8 producing c.520 bhp in unrestricted form the car was a stunner that initially struggled for form but a significant development programme showed signs of real potential – a trip by the DSC Editor to the Apex workshop in December 2007 saw Richard Lloyd in typically open and honest form, and with real evidence to show that better days were coming for the effort. Three months later, as the testing programme for the revised car was gathering momentum, came the tragic air accident that took the lives of Richard, the late and very much lamented David Leslie, and young engineer Christopher Allarton as well as the two pilots of the small jet taking the trio to a Spanish test track. The programme moved on, through the hands of others, but never came close to the previous momentum. 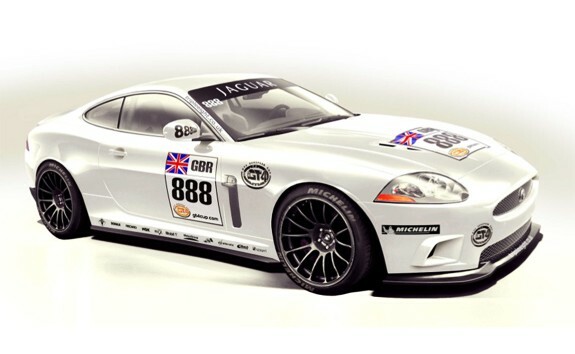 2009 saw publicity from the Triple 8 concern that suggested interest in developing a GT4 version of the XKR. In truth though this was more in hope than expectation as the organisation looked to replace its lost factory Vauxhall effort with another big name programme. The car never saw the light of day. 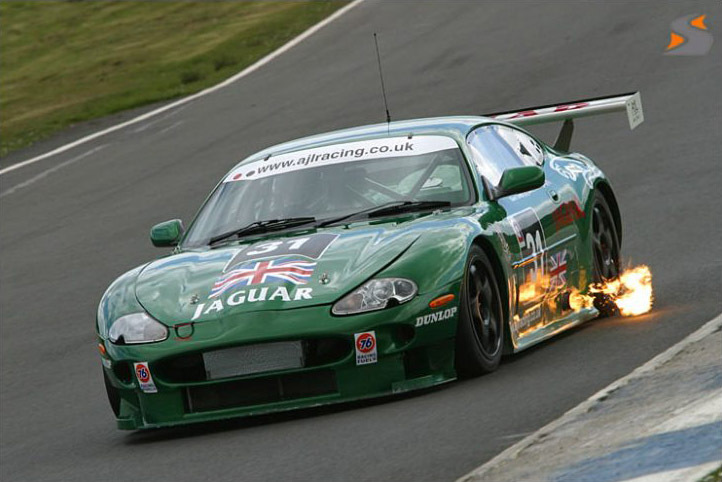 2009 also saw the unveiling of the first fully factory backed Jaguar effort of the post-GT1 era as RSR Racing showed its Ian Callum-styled 5-litre normally aspirated V8-powered XKR GT2, bound for the ALMS in 2010 and with a second car added for 2011. 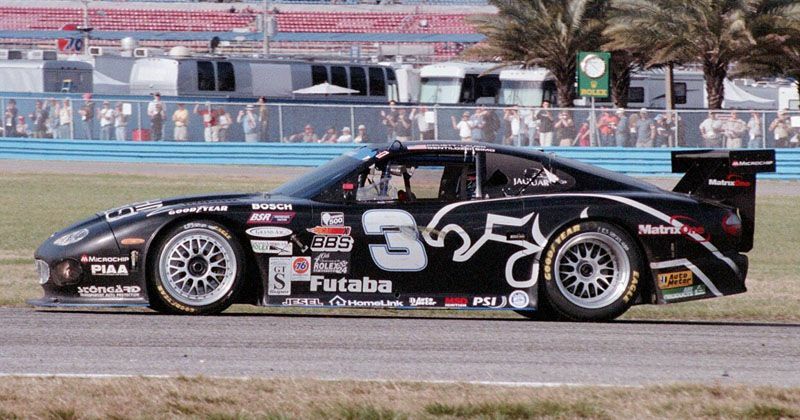 RSR’s predecessor Rocketsports outfit had campaigned a Jaguar bodied (but Ford V8 engined) tubeframe machine (below) to some success at the 2002 Rolex 24 Hours (5th overall and a GTS class win). It turned out to be two years of disappointment though. Suffering from unreliability and a distinct lack of speed, the cars often looked ill-prepared for the challenge of the high-quality GT2 grid in the American series. The team were granted an entry to the Le Mans 24 Hours in 2010 too, but in truth, the car looked nowhere near ready and nowhere close to the pace of its rivals; it completed just four laps before retirement. All in all this was not an effort that looked set to persuade Jaguar of the value of returning to the fray. 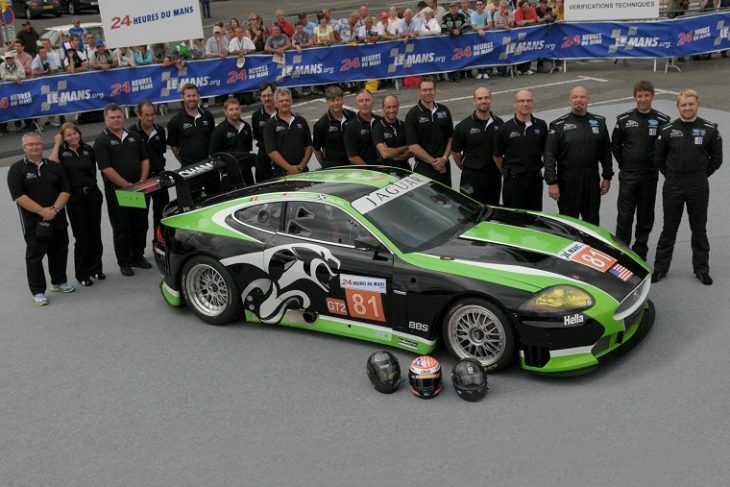 2012 saw the latest addition to the Jaguar racing family, Emil Frey Racing with an initially low-key effort, again a car based on the XKR and effectively designed to GT3 specification, though homologated via the Belgian G3 ruleset offering the team the opportunity for much, much more in-season development. 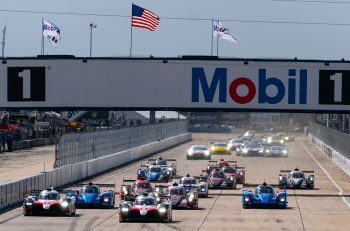 Initially off the pace, the development curve has been encouragingly strong, the team effectively redesigning their machine from the ground up over the past several seasons, committing a second car to the Spa 24 Hours last year, both cars running very strongly (indeed leading the race at one point) before trouble hit. 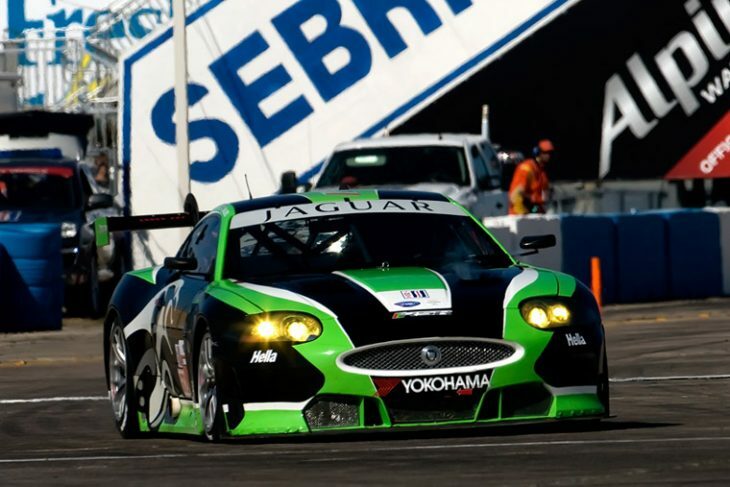 The Swiss team has repeatedly made it clear that it wishes to develop an F-Type GT3, (the XKR ended production back in 2014), but has been seeking Jaguar’s backing to do so. So far, that aspect has been somewhat lacking. 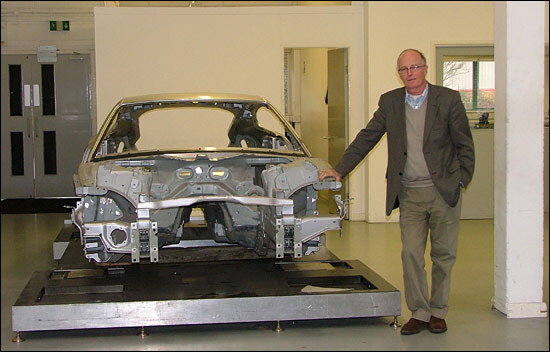 The level of commitment from the team to this project though seems likely to produce a new car with or without the assistance of the factory. 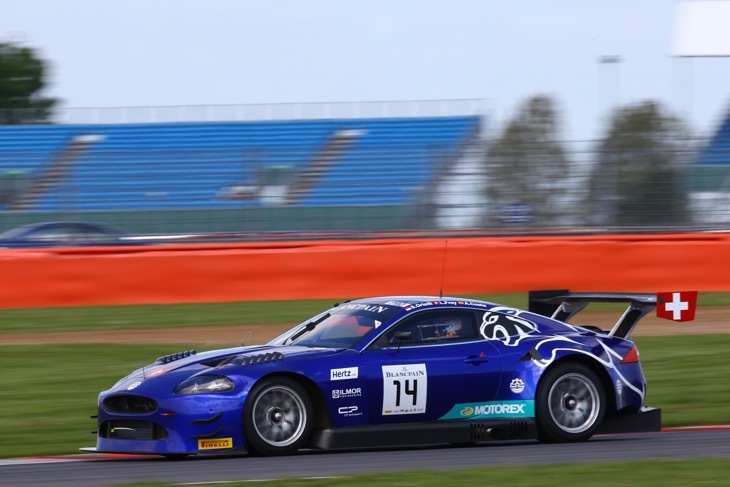 The privateer spirit is alive and well then both with potential GT3 and GT4 programme, there’s a nagging feeling though that Jaguar itself is ducking the issue with moves to bring forward a factory-backed effort repeatedly stalled and/or rejected. The irony here is that it may take success in Formula E to persuade the JLR bean counters of the value of motorsport. That or success from the Emil Frey concern on track that would surely add potential for the sleeping giant to take a more direct interest. With Aston Martin (based next door to JLR’s main assembly plant at Gaydon), continuing to monetise its motorsport investment, most recently with its new AMR performance range, it does seem extraordinary that Jaguar has so far failed to grab the same opportunities. Stranger still when there has likely never been a better opportunity to do so with such a readily available business case!